New York, NY, February 15, 2019 --(PR.com)-- A research paper entitled, “Can Human Instincts Be Controlled?” written by Eric R. Pianka encapsulates the holistic study of human instincts. According to the Cambridge dictionary, instinct is a natural ability that helps one decide what to do or how to act without thinking or it can also be described as the ability to behave in a particular way that has not been learned. Pianka discusses the evolution of human instincts and how they operated when humans lived in the palaeolithic era and were still hunter-gatherers that took shelter in caves during prolonged ice ages. He explains that our instincts, which were adaptive then, have become severely disadvantageous in present-day modern environments. Pianka expresses deep concern over this because our instincts now threaten our very survival. Pianka focuses on five instincts: denial, tribal loyalty, revenge, greed, and procreation. He notes that attempts to control human behaviour are met with resistance and disapproval. He illustrates this with the example of greed, which was adaptive in palaeolithic times because greedy people who then did not share their food stores survived and enjoyed high Darwinian fitness (reproductive success). Pianka compares early greed, which existed during the cave dweller era to modern day greed, which has ballooned totally out of control. Humans invented money and have now institutionalized runaway greed. We are energy gluttons using massive amounts of fossil fuels in frivolous activities. Similarly, tribal loyalty and revenge worked to a person’s advantage when we lived in caves but in today’s artificial man-made world, they have become dangerously maladaptive. In today’s overpopulated world, tribal loyalties have generated nationalism, particism, racism, sexism, etc. Our revenge instinct has led to out-of-control nuclear arms races and hostilities that threaten our very survival. Pianka describes how the power conferred on religious leaders has been exploited to mislead as when faith or belief systems offer resistance to accepting the rationale of scientific knowledge. Pianka stresses the role that natural selection plays in moulding emotions and instincts of humans. According to him, humans enjoy and thrive on mysticism, for example, the Harry Potter books. Elders train their children to believe in mythical creatures like the tooth fairy, Easter bunny, Santa Claus, etc, eventually leading to their adult belief in a benevolent deity. Pianka explains how music evokes powerful emotions, for example, national anthems are used to evoke patriotism. He is concerned about religious and political fervour. He notes that we are born into a given skin colour, nationality, language, religion, and culture and that very few people are able shift from one birth group to another due to governments discouraging illegal immigration. In addition, Pianka emphasizes that Darwinian natural selection or differential reproductive success is blind to the long-term future because natural selection favours only one currency, offspring. Babies are looked upon as a boon to mankind, however, in the present-day scenario, they are the root cause of overpopulation. Our natural instinct to procreate has led to 7.6 billion humans in the world and according to Pianka, if we don’t stop reproducing soon, human civilization is doomed. He asserts that most humans on the planet are living in a state of denial about overpopulation and that very few if any leaders are willing to address this pressing problem. Pianka describes overpopulation as a near-fatal disease that cannot be cured by merely alleviating its many symptoms including pandemics, climate change, food water and energy shortages, regimentation, pollution, poverty, etc. Resources are in short supply and this has led to competition. Competition further leads to greedy behaviours. Our political and economic systems facilitate greed, which has become the driving force for both capitalism and entrepreneurship. According to Pianka, Earth’s greedy enemies are overpopulation, banking and economic systems, insurance companies, corporations (pharmaceutical and big oil companies), governmental corruption, etc. Pianka suggests we should take John Stuart Mill’s advice and work on improving the “art of living” and on sustainable development, which is devoid of greed and the other social man-made evils. Furthermore, Pianka suggests we must choose between quantity and quality of human life and find innovative ways to control dangerous human instincts including revenge, greed, denial, tribal loyalty and our urge to procreate. Eric R. Pianka’s analysis promotes sustainable development goals and also educates readers by elucidating brutal realities seldom spoken about. Hence, Pianka’s paper is a valuable contribution to humanity and in building a better world. Eric R. Pianka, a world-renowned ecologist, has spent his life studying the evolutionary ecology of lizards. Pianka is the Denton A. Cooley Centennial Fellow of Zoology at the University of Texas. His research covers a broad range of topics pertaining to ecology and evolution. During his more than 50-year career, Pianka has published over 200 scientific papers, four of which became Citation Classics. His intercontinental comparisons are a standard textbook example. 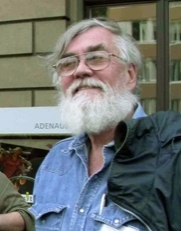 His own text Evolutionary Ecology, first published in 1974, went through seven editions and has been translated into Greek, Japanese, Polish, Russian and Spanish. In 1986, he published a synthesis Ecology and Natural History of Desert Lizards. He was a Guggenheim Fellow in 1978-1979 and a Fulbright Senior Research Scholar during 1990-1991 (both were spent doing fieldwork in Australia). In 1994, he published an autobiographical account of his adventures, The Lizard Man Speaks. In 2003, with coauthor Laurie J. Vitt of the University of Oklahoma, Lizards: Windows to the Evolution of Diversity, was published. In 2004, he co-edited Varanoid Lizards of the World. With 4 coauthors, he recently published an important paper on periodic tables of niches. Currently, he is tying up his life’s work preserving his massive data set for future generations of evolutionary ecologists.